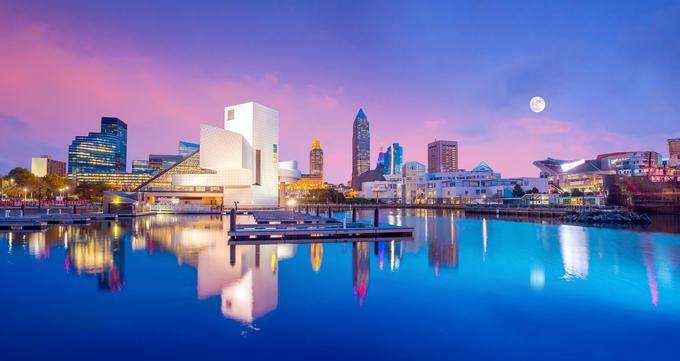 The bustling and vibrant cites of Cleveland, Cincinnati, Columbus, Toledo, and Dayton offer everything from unusual museums and art galleries to historical sites, zoos, amusement parks, markets, and outdoor recreation. Ohio is also home to such excellent outdoor recreation destinations as Yellow Springs and Hocking Hills State Park, where you can go hiking, biking, horseback riding, and rock climbing. 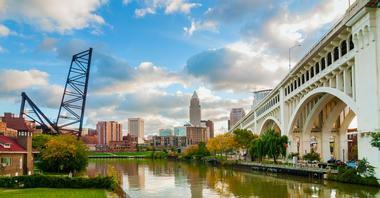 Here are the best places to visit in Ohio. 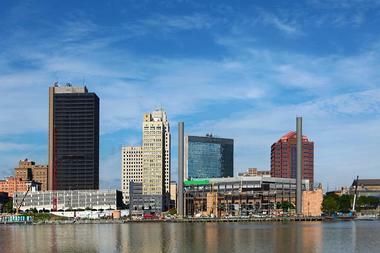 Cleveland offers visitors a wide variety of attractions and your biggest problem will be deciding what to do first. You could start by visiting some of the city’s interesting museums like the Cleveland Museum of Natural History, the Cleveland Museum of Art, and the Museum of Modern Art. 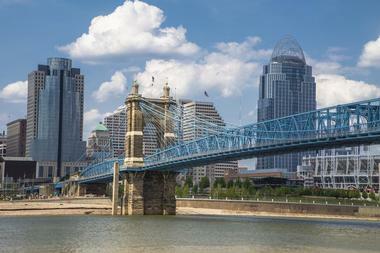 Cincinnati has something for everyone, regardless of your taste in entertainment. You can join an American Legacy Tour to get your bearings and decide which attractions to return to in your own time. Art lovers will enjoy the Cincinnati Art Museum and the marvelous Taft Museum of Art, which showcases many illustrious artists including Rembrandt and Goya. 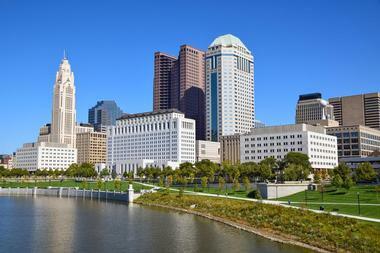 There is never a dull moment in Ohio’s capital city Columbus. For a cultural visit, you can spend time at the Columbus Museum of Art or make your way to the Ohio Theatre to enjoy a symphony concert, an opera, or the ballet. Sport enthusiasts can watch ice hockey at the Nationwide Arena, baseball at Huntington Park, or football at the enormous Ohio Stadium. Nestled along the shores of Lake Erie, Toledo is well known as the “water recreation capital of the Northwest,” offering visitors and locals great outdoor fun. Here you can charter a sailing or fishing boat to explore all the coves and inlets of Lake Erie, do some fishing (including ice fishing in winter), or go on a lighthouse tour. 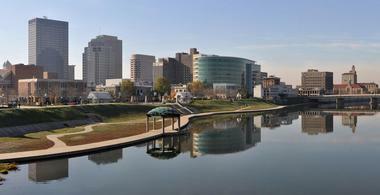 Dayton offers a great mix of attractions for all ages. The National Museum of the US Air Force is bound to be one of the highlights of your visit – the museum houses the largest collection of military aviation exhibits in the States. You can pay tribute to some of the country’s aviation pioneers and the legendary Wright brothers at the Aviation Hall of Fame and the Aviation National History Park. Akron is situated just 39 miles south of Lake Erie, adjacent to the Cuyahoga Valley National Park, offering an excellent selection of activities for both outdoor enthusiasts and culture vultures. 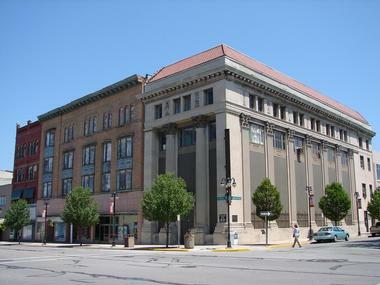 One of the top city attractions is the Akron Art Museum in the Historic Arts District, where art lovers can admire both traditional and contemporary art works presented in an exceptional gallery. The Arts District is also home to many music clubs, restaurants, and galleries. To learn a little about the old days in Akron, you can tour the Stan Hywet Hall, Hale Farm and Village, and the Main Street Historic District. Children will love the Cuyahoga Valley Scenic Railroad and Akron Zoo. 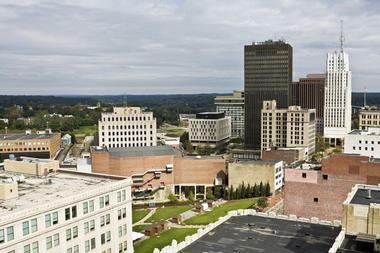 Perfectly located halfway between Cleveland and Columbus, Mansfield makes a great base for exploring Richland County and has a good selection of tourist attractions. 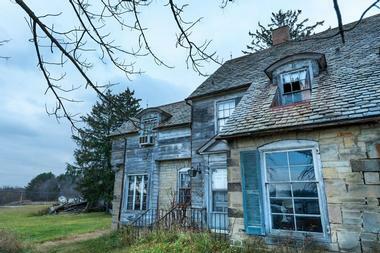 History buffs can explore the Brownella Cottage (1887), Lincoln Highway National Museum and Archives, Oak Hill Cottage (1847), and the rather intimidating Ohio State (Mansfield) Reformatory, which is believed to be haunted. 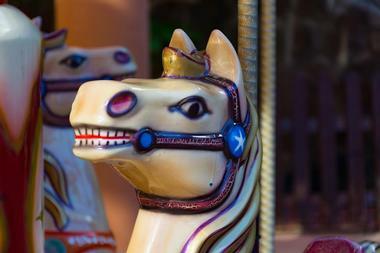 If you love stately homes and gardens, you should not miss touring the Kingswood Center, while the Carousel Center, where craftsmen hand-make carousel ponies, is a great attraction for all ages. Other attractions to add to your itinerary are the Mansfield Fire Museum, the Arts and Science Discovery Center at Richland Academy, and the Jones Potato Chip Factory. A suburb of Columbus, Ohio, Dublin is as Irish as you can get this side of the Atlantic. You can feel it most during the Annual Dublin Irish Festival, while playing golf on Dublin’s golf courses, while indulging in a plate of fish and chips, or while enjoying a freshly baked scone. And during the St. Patrick’s Day Parade, everyone becomes at least a little bit Irish. 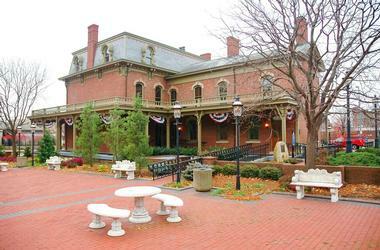 The charming Old World town has a lot to offer to its residents and visitors. There is the Columbus Zoo and Aquarium, Zoombezi Bay waterpark for the whole family, Highbanks Metro Park, which celebrates Native American history, and Olentangy Indian Caverns, used by the native Delaware tribe. There is art everywhere in Dublin and you do not even have to go to galleries – it is all around you. Explore one of them at Field of Corn, a large installation made of concrete corn sculptures in a town park. Canton is probably best known for its Pro Football Hall of Fame, but even if you are not a football fan you will find plenty of attractions in this Stark County city. You can immerse yourself in the vibrant arts and culture scene by heading to the Canton Arts District, which boasts seven galleries, 22 artist studios, and five live music venues, and if you love ballet, opera, or the symphony, you will find it all in Canton. 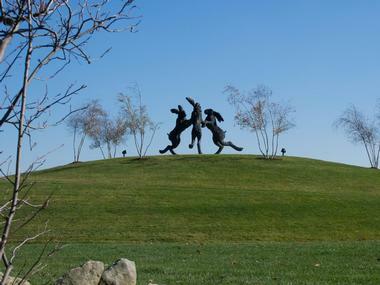 The town of Yellow Springs will charm city dwellers with an abundance of outdoor activities as well as interesting and varied cultural attractions. You can start your visit by absorbing the atmosphere of the vibrant Yellow Springs Downtown, which is packed with unusual shops, galleries, and restaurants. Nature lovers can spend some time exploring the Glen Helen Nature Reserve, which offers good hiking and birding, or enjoy rock climbing, hiking, mountain biking, and fishing in the 752-acre John Bryan State Park. The surrounding countryside is filled with farms producing great local produce and foodies can visit the farmers market or enjoy genuine farm-to-fork meals at local eateries. Young’s Jersey Dairy is a favorite with families – there are good activities for the children and homemade ice cream, cheeses, and more to tempt you. The Hocking Hills State Park in southeastern Ohio is a magnet for all nature lovers and outdoor enthusiasts, who come to explore forests, soaring rugged cliffs, cascading waterfalls, and deep enticing gorges. 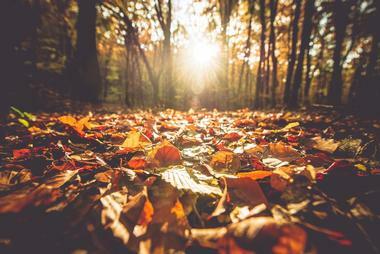 You can bring along a tent or RV or rent a cabin and spend a few days immersed in nature. Hikers can choose from six hiking areas in the park, each of which will lead you to a different scenic goal – Ash Cave, Old Man’s Cave, and Cedar Falls are three of the most popular. There are two trails suitable for mountain bikes and the park offers regular ranger- guided hikes and talks that bring the history of the park to life. 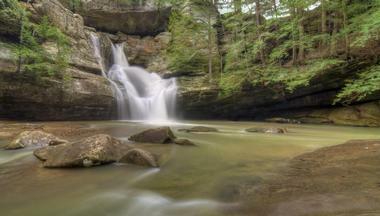 Hocking Hills State Park is one of the best places to go in Ohio for nature lovers. Established in 1788 as the first permanent settlement north and west of the Ohio River, historic Marietta has a lot of stories to tell. You can learn about the history of the town on a walking tour of the Marietta Historic District and by visiting some of the unusual and informative museums such as the Campus Martius Museum of the North West Territory, The Castle, and the Ohio River Museum. When you need a break from history, you can go walking or cycling along the paved River Trail, which meanders along the banks of the Ohio River, or go hiking/mountain biking along the off-road Marietta Trail Network. The Hidden Marietta Tour Company offers evening Ghost Trek tours for aspiring ghostbusters. 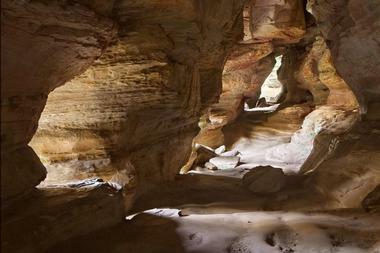 The Rock House is a unique cave situated halfway up a 150-foot cliff in the Hocking Hills State Park. The cave was carved out of the Black Hand sandstone by millions of years of erosion by wind and water, which has left a real marvel of nature for you to explore, complete with seven “Gothic arched windows” and enormous columns supporting the stone roof. The Conkles Hollow State Nature Preserve protects and showcases 87 acres of spectacular landscape close to the Hocking Hills State Park. 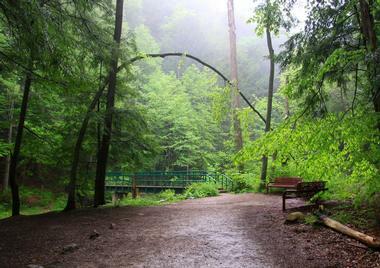 At the heart of the preserve is a cool, deep forested gorge that is home to many beautiful cascading waterfalls. Although the gorge is just 100 feet wide in places, the majestic cliffs tower up to 200 feet above the floor. You can explore the floor of the gorge on foot along the Lower Gorge Trail, which is also accessible for wheelchairs. Although the preserve is for day-use only, you can find many campsites or cabins to rent close by so that you can spend a few days exploring some of the great hiking and biking trails in the nearby Hocking Hills State Park. The famous Roebling Suspension Bridge is one of the foremost landmarks of Cincinnati and has been the symbol of the city ever since it was completed in 1866. The bridge, which links Cincinnati in Ohio with Covington in Kentucky, was something of a miracle of engineering back in 1866, with a main-span of over 1,000 feet, which was then the longest in the world. You can walk across the historic bridge to get a great view of both cities and to imagine the skill and bravery of the men who built it. The bridge is named after its architect John A. Roebling and still carries hundreds of vehicles back and forth every day. 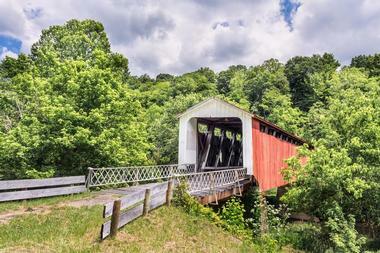 In summer you have the opportunity to go on a horse-and-carriage drive across the bridge. The fascinating Serpent Mound Historical Site is situated in Adams County, surrounded by rolling hills and farmlands, and is one of the world’s most spectacular effigy mounds (mounds built in the shape of animals). The mound is approximately 1,300 feet in length and about 3 feet high and represents a coiled snake that appears to be about to swallow an egg. Although there are many theories, no one knows for certain why ancient cultures built the mound, but it is believed to have been used for ceremonial purposes. The sophistication of the mound has led archaeologists to believe that it was built by an advanced culture that had knowledge of astronomy, possibly as far back as 300 BC. Mill Creek is an enormous metropolitan park that was established by Volney Rogers in 1891 to protect the beautiful environs of Mill Creek from encroaching industrialism and to provide an enormous green space for the residents of Youngstown. Today, you can visit the park to enjoy tennis, golf (there are two 18-hole courses), fishing, boating, picnicking, and much more. Hiking enthusiasts can make use of 15 miles of foot trails, while the Metro Parks Bikeway is an 11-mile paved trail for cyclists, skateboarders, or hikers. You can go boating and fishing on Lake Glacier or go kayaking and wildlife watching in the New Port Wetlands at the southern end of the lake. 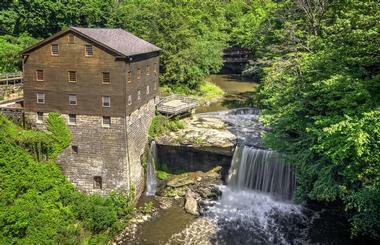 Lanterman’s Falls, the Lanterman Mill, and the historic Covered Bridge are all worth a visit. Situated just east of John Bryan National Park, the Clifton Gorge State Nature Preserve protects one of the finest examples of interglacial and postglacial canyon-cutting you will find anywhere. The gorge includes a 2-mile stretch of the Little Miami State and National Scenic River and you can explore the stunning landscape along 10 different hiking trails or on over 7 miles of mountain biking trails. You can visit the preserve on a day-visitor basis or bring you tent or RV to the campsite at John Bryan National Park to spend some quality time getting back to nature. Hiking the gorge will give you the opportunity to see cascading waterfalls, great birdlife, and a spectacular show of wildflowers in spring. 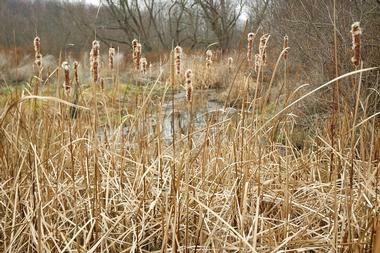 The 4,000-acre Oak Openings Preserve is situated between Whitehouse and Swanton and invites all outdoor enthusiasts to come and explore a unique ecosystem of alternating sand dunes and wetlands. Here you can take advantage of over 50 miles of hiking trails, which will lead you though areas of great natural beauty that provide a home to many resident and migrating birds. You can spend a night getting back to nature in the primitive campground or hire the Caretaker’s Cottage, which sleeps eight. Cyclists can take advantage of the 5-mile paved All Purpose Trail (wheelchair accessible), which connects Mallard Lake and Evergreen Lake, and there are bridle trails for equestrians. The Buehner Nature Center at Mallard Lake offers great wildlife viewing from the comfort of their special “Windows on Wildlife” indoor feature. The popular Charleston Falls Preserve is the most-visited park in Miami County, Ohio, covering over 216 acres of prairie and forest. The preserve has nearly 4 miles of hiking trails that lead you through some very unusual flora and provide great bird watching opportunities along the way. The family-friendly park is an ideal place for younger visitors to learn about nature – they can attend one of the many park programs, which are suitable for all ages including pre-school children. 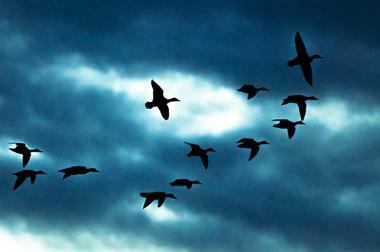 Everyone can enjoy great wildlife watching from the observation platforms and viewing boardwalk. 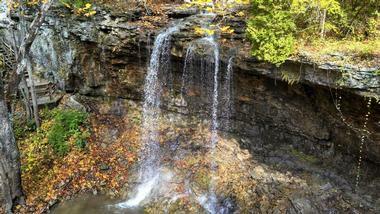 Highlights of the preserve include the impressive 37-foot Charleston Falls, the Limestone Cave, and the Wildlife Pond. In Rockbridge State Nature Preserve in Hocking County you can see one of Ohio’s 12 natural rock bridges, which were shaped by the forces of nature millions of years ago. This natural rock arch is particularly impressive – it is over 100 feet long, around 10 feet wide, and spans a 50-foot ravine. You can reach the bridge by hiking a short trail (less than 3 miles), but be prepared for a fairly steep and rocky path. 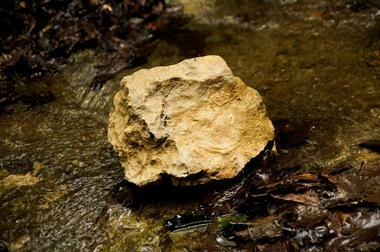 Along the way, you can do some bird watching and admire the interesting geological features and diverse flora. 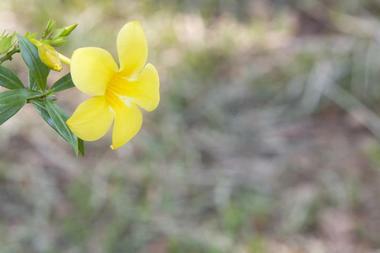 If you visit in spring, your efforts will be rewarded by the annual wildflower spectacle. Sandy Ridge Reservation in North Ridgeville covers over 300 acres of wetlands and is an important wildlife sanctuary that supports over 100 species of nesting and migrating birds. The reservation is particularly popular with bird watchers and you have a good chance of spotting large numbers of waders, water fowl, and shore birds. The Perry F. Johnson Wetland Center is a good place to start your visit – here you can see which birds have been recently sighted, visit the butterfly/humming bee garden, and let the kids enjoy the playground. You can take a walk around the paved 2-mile trail along the tops of the dykes and take photos from the observation mound or just sit on a bench and admire the wildlife. Situated deep in the heart of the Hocking Hills National Park, the Cedar Falls Hiking Trail is one of the most remote and scenically stunning trails in the region. To reach Cedar Falls Trail you can park at the lower parking area and navigate your way down the Lower Gorge of Old Man’s Cave to Queer Creek. Your journey along the half-mile trail is lined with towering hemlock, steep rocky walls, grottos, and waterfalls and culminates at Cedar Falls, which is the tallest waterfall in the park (50 feet). If you prefer a quicker (but much less scenic) approach to the falls, you can park at the upper parking area and walk down the Democracy Steps, which were designed by artist and architect Akio Hizume and are based on the Fibonacci series. Hell Town (which you will not find on any map) is the macabre and rather melodramatic name that local legend has given to some areas in and around Boston Village in Summit County, Ohio. 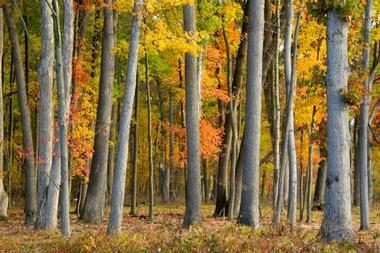 The areas are collectively known as Boston Mills and were once home to several paper mills. In the 1960s it was decided to protect the dwindling forests by establishing the Cuyahoga Valley National Park and hundreds of homes were bought up by the government and owners were forced to move away, resulting in a “ghost town,” around which all manner of urban legends sprung up. Some refer to satanic worship, other darkly mention ghosts and haunted cemeteries, and still others talk about government-sponsored chemical attacks. The only way to decide what is fact and what is fiction is to visit Hell Town yourself.